Are you interested in Cars, Machinery & History? Want to be involved in a community project? Able to offer a few hours per month? Enjoy promoting the Geelong Region? 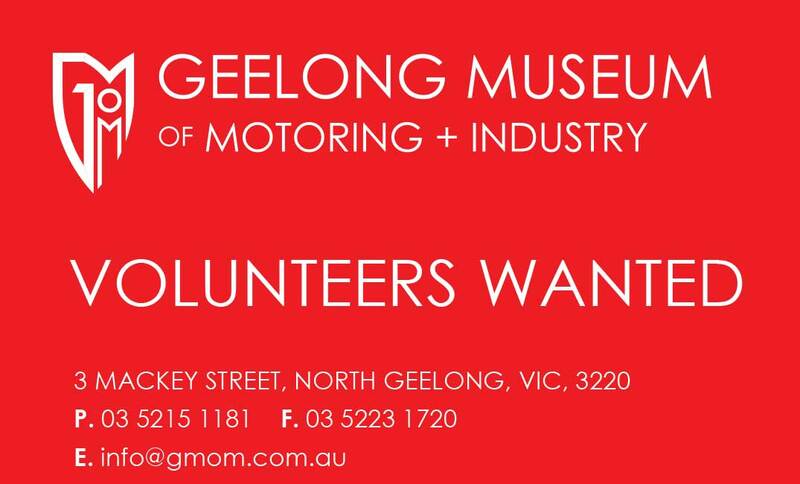 We are holding a Volunteers sign-up/Briefing session this Wednesday (tommorow) from 5:30pm at the Geelong Musuem of Motoring 3 Mackey Street North Geelong.